CREATE research was well-represented at the 2019 International Symposium on Human Factors and Ergonomics in Health Care! CREATE hosted a panel at the event entitled, "Challenges Confronting Older Adults in Today’s Healthcare Landscape," which fostered great discussion! Click here for photos from the conference panel and presentations! Members of the CREATE Team and Advisory Board had a productive meeting recently to discuss current and future CREATE research. To see some pictures from the meeting, click here! Great news: Designing for Older Adults: Principles and Creative Human Factors Approaches, Third Edition, authored by members of the CREATE Team, is NOW AVAILABLE! For a 20% discount on your purchase, apply the code 'A004' at checkout! Marissa Kobayashi, who recently received a CREATE pilot grant to support her work, submitted an abstract entitled “Formative Development of a Physical Activity Digital Health Intervention for Grandparents and Grandchildren“ to the Annual Meeting of the Society of Behavioral Medicine and was awarded the “Outstanding Abstract Submission” for the Child and Family Health Special Interest Group. Way to go, Marissa! Authors on the abstract included Marissa Kobayashi, Rafael Leite, Lucia Alvarez, Rachel Wetstone, Sara M. St. George & CREATE’s Sara J. Czaja. CREATE's Dr. Wendy Rogers was recently featured on Prof. Stephen Fairclough's "The Mind Machine" podcast in which she discussed her work on projects related to the Center, as well as her other numerous, varied research. Check it out by clicking here! Congratulations to Dr. Wally Boot for becoming a Fellow of the Gerontological Society of America at this year's GSA 2018 Annual Scientific Meeting! The CREATE Team was well-represented at the Gerontological Society of America 2018 Annual Scientific Meeting! CREATE presented a symposium entitled, "The Benefits and Challenges of Technology for Older Adults: Lessons from CREATE', which was chaired by CREATE's director, Dr. Sara Czaja. For photos from the event, click here! Coming Soon: CREATE is excited to announce the Third Edition of our Designing for Older Adults book. You can pre-order your copy now by clicking here! At the 30th Association for Psychological Science (APS) Annual Convention, CREATE PI Dr. Sara Czaja discussed how access to technology can help facilitate older adults' access to important services and information. Click here to learn more! 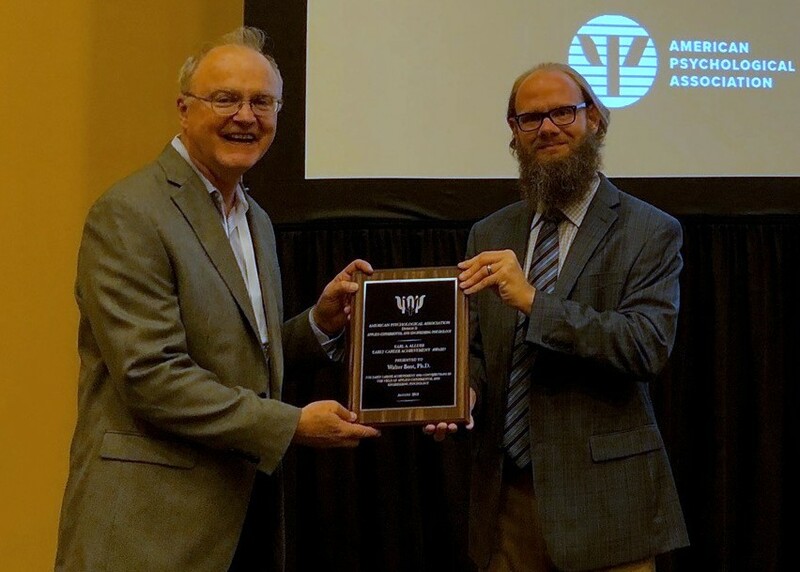 Dr. Wally Boot was presented the Earl Alluisi Award for Early Career Achievement at the APA 2018 annual meeting. The award recognizes outstanding achievements made by psychologists within 10 years of receiving their PhD. Congratulations, Dr. Boot! Congratulations to Dr. Neil Charness! He was presented the 2018 Committee on Aging (CONA) Award for the Advancement of Psychology and Aging at this year's APA 2018 annual meeting! For more information on the CONA Award, click here! Dr. Wendy Rogers and CREATE alum Dr. Richard Pak were featured in the July/August 2018 APA Monitor issue. Click here to read more! The CREATE Team will be well-represented at the 2018 APA Convention! Dr. Wally Boot, chair-elect of the Commitee on Aging (CONA), will be one of four speakers during this year's CONA Conversation Hour, discussing the topic of Aging and the Importance of Social Connectedness. Moreover, congratulations to Dr. Neil Charness who will be presented the 2018 CONA Award for Advancement of the Psychology of Aging! For more information about the event, click here! CREATE Principal Investigator Dr. Neil Charness has received two honors for a career of work on longevity and on technology for older adults, from the Committee on Aging of the American Psychological Association and from the International Society for Gerontechnology. Click here to read more! The first entry in a video series that explains CREATE research in brief has been uploaded to the CREATE YouTube channel! This video reviews findings from a randomized controlled trial which included over 300 older adults at risk for social isolation. The results showed multiple benefits for those using the Personal Reminder Information & Social Management System (PRISM). Click here to watch, and remember to like the video and subscribe to the channel for more videos like this as they become available! CREATE now has a YouTube channel! The first upload is a video of when Drs. Neil Charness and Sara Czaja of the CREATE Team gave a webinar on integrating older adults into today's work environment, covering a broad swatch of relevant topics founded in research. Click here to watch! Data from CREATE's PRISM (Personal Reminder Information & Social Management) randomized field trial demonstrate that given the opportunity and training, many older adults may become active and long-term gamers. These findings have implications for designing video games that older adults enjoy, supporting enjoyable and meaningful interactions with video games across the life span, and for designing cognitive, social, and health interventions involving games. Click here to read the article, published in the journal Innovation in Aging. The CREATE Team recently presented their research at the International Society for Gerontechnology 2018 annual meeting in St. Petersburg, Florida. Click here to view pictures from the conference! The CREATE Team had a strong presence at the 2018 Cognitive Aging Conference in Atlanta, Georgia! Dr. Neil Charness delivered the conference's keynote, entitled "From Satisficing to Optimizing: The Future of Cognitive Aging," and members of CREATE presented their research with very well-received posters! For photos from the event, click here! New Open Access paper on factors that shape older adults' decisions about technology adoption. Stakeholders looking to increase adoption among older adults must be cognizant of these factors and how they vary depending on the technology examined. Click here to read more! What are the opportunities and challenges older adults experience associated with seeking health information online? CREATE researchers explore this issue in a new chapter for the book Aging, Technology and Health. Click here to access the chapter! 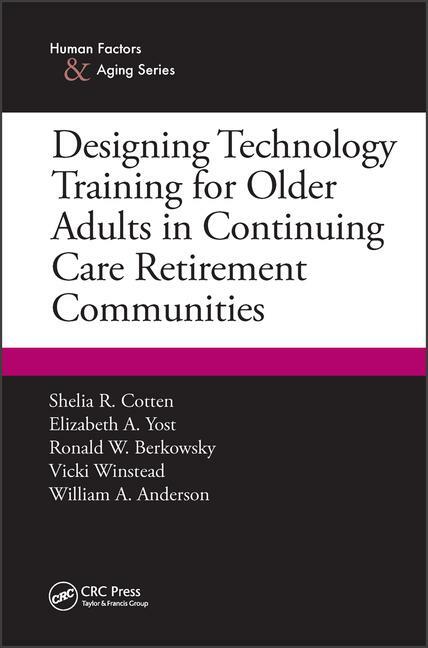 What role can technology play in supporting and facilitating older adults' social engagement? CREATE researchers explore this issue in a new chapter for the book Aging, Technology and Health. Click here to access the chapter! 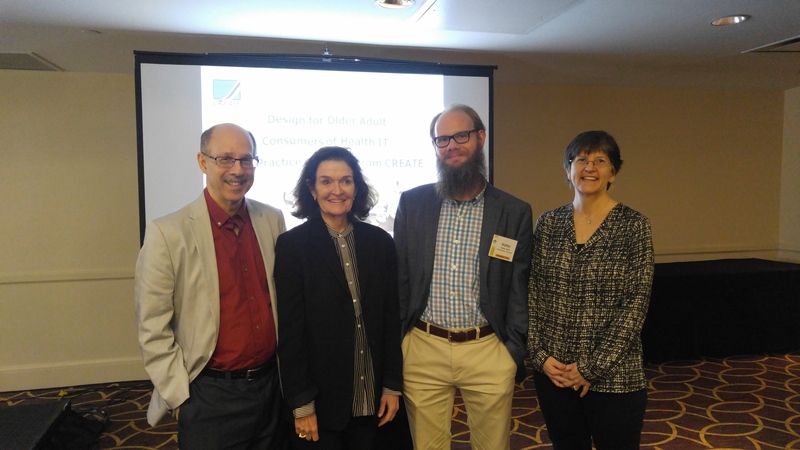 The CREATE team recently presented the symposium entitled, "Designing Technology to Improve the Lives of Older Adults at Risk for Social Isolation" at the APA's Technology, Mind & Society conference in Washington, D.C. Click here for more details about the conference! CREATE collaboration finds that older adults are optimistic about the promise of brain training technologies. Click here to learn more! Dr. Neil Charness was quoted in an article in the New York Times discussing older adults' experiences in high-tech careers. Click here to read the article! Dr. Neil Charness of CREATE is part of a team of researchers organizing a workshop centered around designing interactions for the aging populations. Submission deadlines are Februrary 15th, 2018, and the workshop will be held in Montréal, Canada, on April 22nd, 2018. For more information, visit the website by clicking here! Drs. Sara Czaja and Joe Sharit of the CREATE Team recently hosted a two-day conference entitled "Current and Emerging Trends in Aging and Work" at which discussions of aging in the context of employment patterns, policy issues, work performance, job trends, and health and wellness were led by experts in the respective areas. For the agenda and photos from the event, click here! A new study co-authored by Neil Charness of the CREATE Team was recently published in the Journal of Aging, Neuropsychology, and Cognition. The study examined how age, depressive symptoms, demographic variables, frailty, and health factors jointly influence episodic memory across the lifespan in two large, diverse samples. For more information about the study, click here! Drs. Neil Charness and Sara Czaja of the CREATE team will be hosting a free webinar entitled, "Integrating Older Adults into Today’s Work Environment" on October 25th, 2017, from 1:30-2:30pm EST. If you are interested in participating, please RSVP by October 20th by clicking here: RSVP. For more information, including an abstract for the event, click here! The CREATE team and their work was recently covered by the APA Monitor. Click here to read about older adults' use of technology to adapt for aging. Drs. Neil Charness & Sara Czaja are hosting free webinar entitled “Integrating Older Workers into the Work Environment” as part of CREATE research dissemination activities. It takes place April 3 at 1:30PM Eastern Time. Registration is limited to enable discussion so try to sign up by March 20 if interested. More information and registration can be found at this link. The CREATE team was well-represented at the 2017 International Symposium on Human Factors and Ergonomics in Health Care. The PIs had a panel titled "Design for Older Adult Consumers of Health IT: Best Practice Guidance from CREATE" in addition to a couple student posters. The CREATE team recently hosted a day and a half workshop on February 23-24, 2017, in Miami, Florida. The focus of the workshop was Health Care Technologies for Older Adults: Design, Adoption, Implementation & Training Issues. For more information, visit http://www.createworkshop.org/. 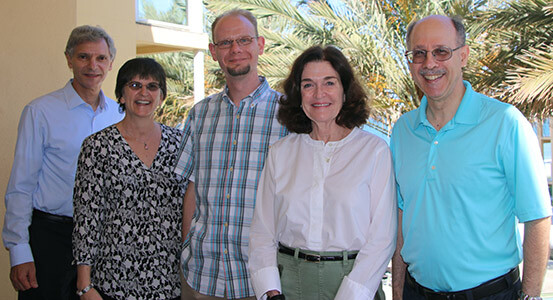 The CREATE team was selected as this year's recipient of the American Psychological Association's inaugural Prize for Interdisciplinary Team Research. The prize recognizes an interdisciplinary research team that includes one or more psychological scientists in major roles and has produced significant scientific work. More information on the award can be found here. Congratulations! CREATE PI Sara Czaja presented an invited keynote address at the Congress of the German Society of Gerontology and Geriatrics in Stuttgart, Germany on September 8th, 2016. The title of her presentation was: "Technology and Aging: Where are We Now and Where Do We Need to Be". More information on the address can be found here. Neil Charness received the M. Powell Lawton Distinguished Contribution Award for Applied Gerontology from the American Psychological Association. This award recognize those whose contributions have improved the quality of life of older persons. Congratulations! The CREATE Team was well-represented at the 2=American Psychological Association's 2016 Annual Convention in Denver, CO. CREATE PI Sara Czaja has been appointed the Director of the Center on Aging. You can read the full announcement here. Congratulations! 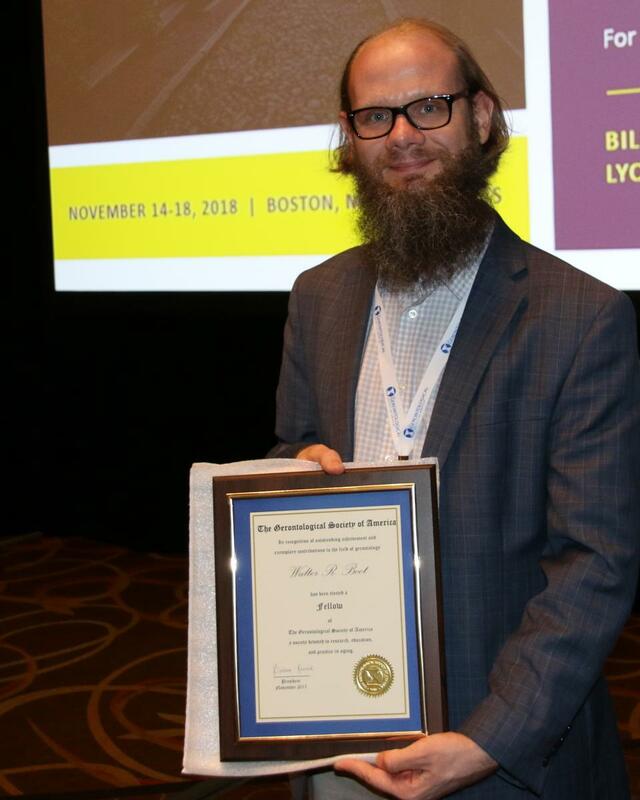 CREATE PI Neil Charness was awarded the Franklin V. Taylor Award for Outstanding Contributions in the Field of Applied Experimental / Engineering Psychology from the American Psychological Association. Congratulations! 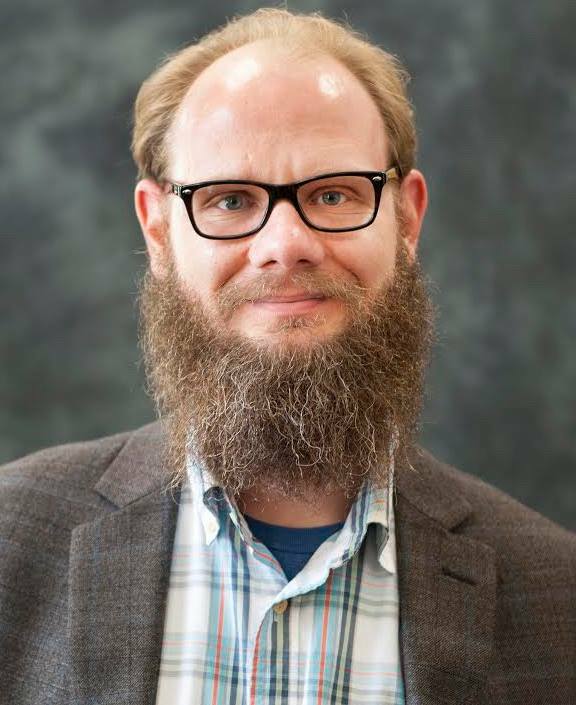 CREATE PI Wally Boot was awarded the Developing Scholar Award for recognition of scholarly activities at FSU, following a nomination by peers and recommendation by the FSU Council on Research and Creativity. Congratulations! 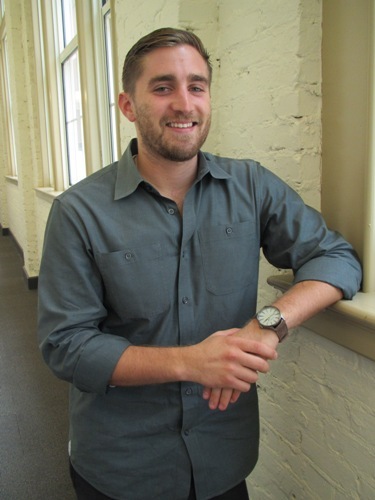 Sean McGlynn was selected for the Georgia Gerontology Society's (GGS) Virginia M. Smyth Scholarship Award. This award is given to one graduate student per year to promote students’ interest in age-related issues and to promote professional development in gerontology. Congratulations! CREATE PI Wendy Rogers has been awarded fellow status with The Gerontological Society of America (GSA), the world’s oldest and largest interdisciplinary organization devoted to research, education, and practice in the field of aging. GSA fellowship is an acknowledgment of outstanding and continuing work in the field of gerontology. Congratulations! 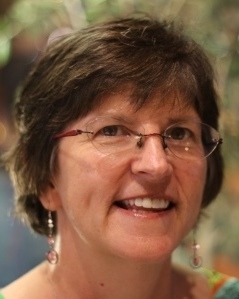 CREATE PI Wendy Rogers and her research were included in a new report from the President’s Council of Advisors on Science and Technology (PCAST) titled “Independence, Technology, and Connection in Older Age.” Press release here. The CREATE Team was represented in a variety of presentations at the 2016 Cognitive Aging Conference in Atlanta, GA. CREATE hosted a day and a half workshop on Usability and Design for Aging on February 25-26, 2016, in Miami, Florida. The focus of the workshop was on healthcare and healthcare products. For more information, visit http://www.createworkshop.org/. 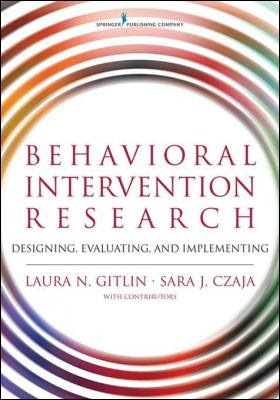 CREATE PI Sara Czaja is the co-author on a new book with Dr. Laura N. Gitlin titled "Behavioral Intervention Research: Designing, Evaluating, and Implementing". For more information and to purchase the book, visit this website. 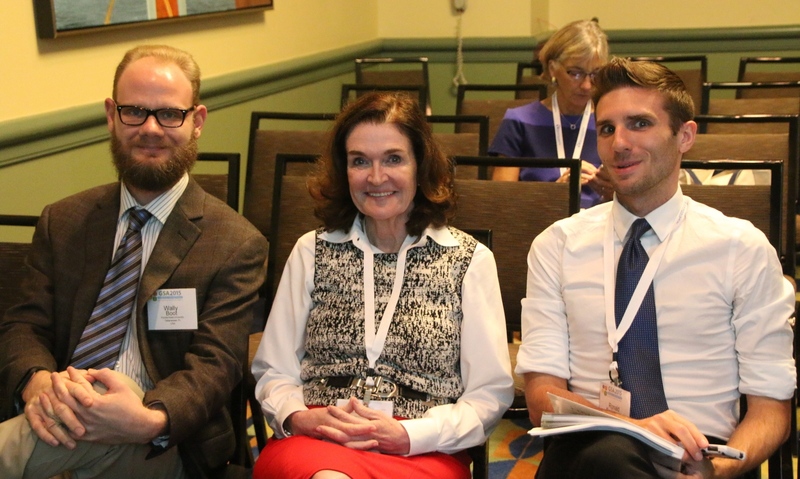 The CREATE Team hosted a symposium at the Gerontological Society of America (GSA) Annual Meeting in Orlando, Florida. 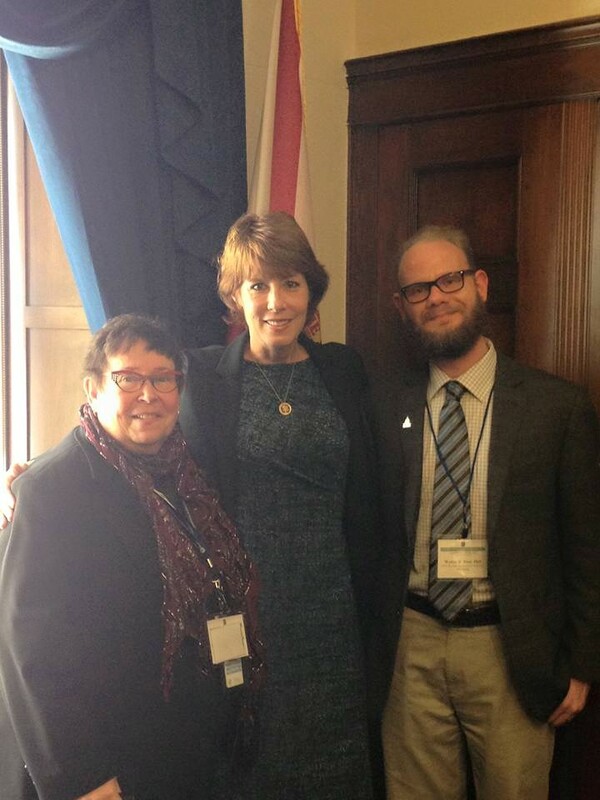 Create PI Wally Boot met with multiple Representatives and their staffers on Capitol Hill to discuss technology and aging. These conversations included discussing CREATE's work understanding needs of older adults and how technology can help. The CREATE Team has been awarded funding by the National Institutes of Health (National Institute on Aging) to continue the center's research with CREATE IV. Congratulations! 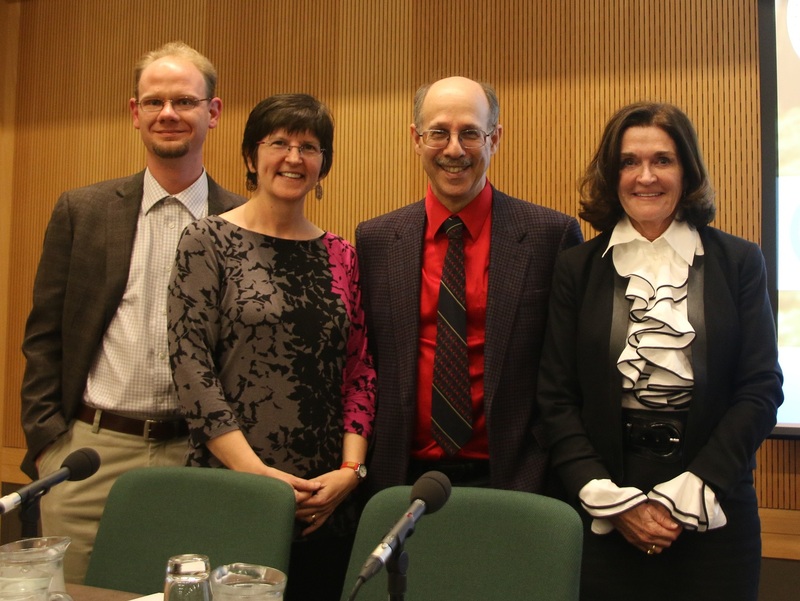 The CREATE Team presented "Designing Interventions for Successful Aging: Findings from CREATE" at the International Association of Gerontology and Geriatrics European Region Congress in Dublin, Ireland. Dr. Neil Charness has been named Director of the Florida State University Institute for Successful Longevity. Neil has served as Interim Director since the institute was established in 2013. Sara Czaja was invited to participate in this year's Nobel Week Dialogue to be held in Stockholm on December 9th, 2014 in conjunction with the Nobel Prize Award Ceremony. This year's meeting is entitled "The Age to Come: New Scientific and Cultural Perspectives on Ageing". This event will have live streaming. Congratulations! Work at Georgia Tech on human-robot interaction in home settings was featured in a news article in "The Telegraph". Wendy Rogers was quoted. 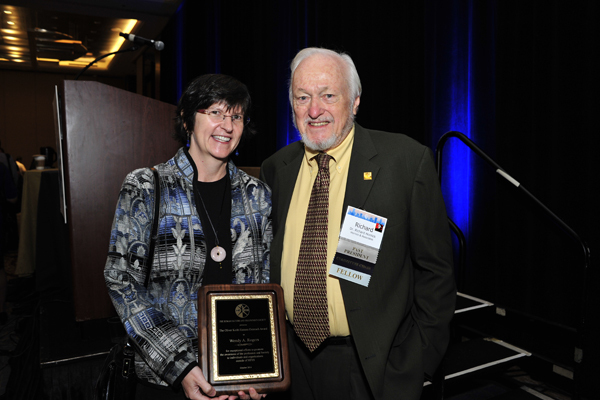 Wendy Rogers received the Oliver Keith Hansen Outreach Award from the Human Factors and Ergonomics Society. This award recognizes members and nonmembers who engage in significant activities that broaden awareness of the existence of the human factors/ergonomics profession and the benefits it brings to humankind. Congratulations! Tracy Mitzner is participating in a panel on “Managing Your Role as Caregiver” at Georgia Tech's Scheller College of Business. Two CREATE PIs were recognized at the 2014 Annual Convention of the American Psychological Association (APA). Sara Czaja became the new President of the Adult Development and Aging Division (20) of APA. Wally Boot received APA Division 20's Springer Early Career Achievement Award in Research on Adult Development and Aging. Congratulations! 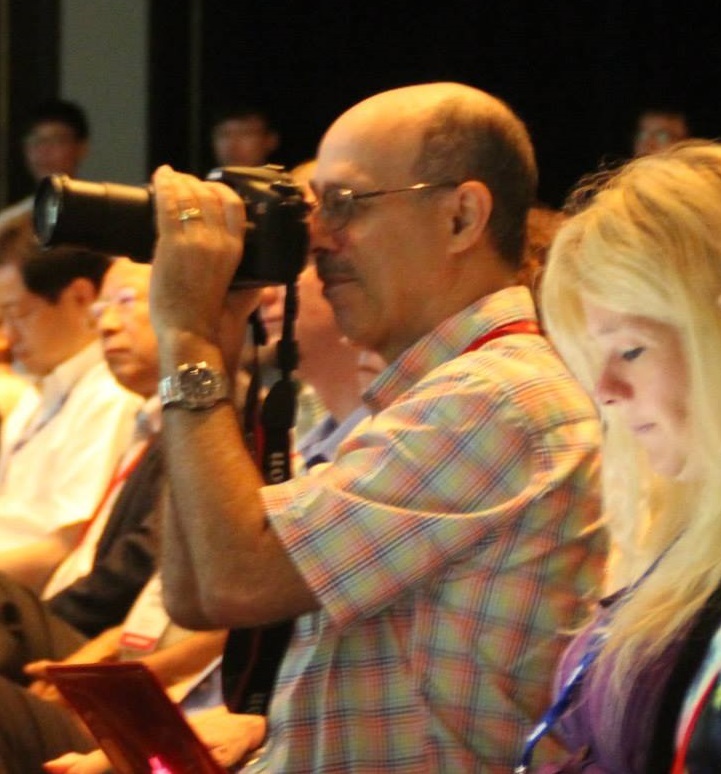 The symposium "Designing interventions for independent living through ICT: The PRISM clinical field trial" was given at the 9th World Conference of Gerontechnology (ISG 2014) in Taiwan. The CREATE Team presented "Findings from the Prism Field Trial: A Technology-Based Intervention for “At Risk” Older Adults" at the Gerontological Society of America Meeting. The Create Team was awarded the 2013 Jack A. Kraft Innovator Award by HFES for "significant efforts to extend or diversify the applications of human factors principles and methods to new areas of endeavor". The official announcement is shown here. Congratulations! Wendy Rogers, Neil Charness. Not pictured: Dan Fisk, Joseph Sharit. Akanksha Prakash featured on the websites NBC News and The Verge. Members of CREATE presented a symposium at the American Psychological Association's meeting in Hawaii. Designing for Older Adults: Principles and Creative Human Factors Approaches has been translated into Japanese by Ryoko Fukuda, Nana Itoh, & Hiroyuki Umemuro and is available through Amazon. Dr. Sara Czaja is the recipient of the Social Impact Award. Dr. Czaja also gave an invited address at CHI, which included a nice shout-out to the CREATE-Center. The CREATE team was represented internationally at CHI 2013 in Paris, France. Dr. Wendy Rogers is featured in a Nature | Outlook article discussing robot usage by older adults. Links to the web version and the PDF version. The CREATE team was represented in a variety of presentations at the Human Factors and Ergonomics Society 2013 International Healthcare Symposium: Advancing the Cause, Baltimore, MD. The CREATE team was represented in a variety of presentations at the Human Factors and Ergonomics Society Annual Meeting in Boston, MA. Dr. Sara Czaja is featured on a panel discussing the 2012 United States of Aging survey, and specifically talks about the aging workforce. Check out the discussion here! CREATE researchers have been accepted to present a symposium at the Gerontological Society of America meeting, in San Diego on Friday November 16 from 8:00 - 9:30 AM. Title is DESIGNING AND IMPLEMENTING AN INTERVENTION FOR OLDER ADULTS: THE PRISM FIELD TRIAL. Dr. Neil Charness has organized a panel for the ISG*ISARC conference on Friday, June 29, in Eindhoven, the Netherlands, on Cognitive Training. Presenters include Dr. Walter Boot (USA-CREATE), Dr. Elizabeth Zelinski (USA-USC), Dr. Jutta Kray (Germany) and Dr. Karin Slegers (Netherlands). Dr. Neil Charness presented a keynote at that conference on June 28 (co-authors include CREATE graduate students Ryan Best and Dustin Souders): Memory functioning and supportive technology. Research from CREATE highlighted in the Gerontological Society of America (GSA) Annual Meeting, in a symposium titled "Health Technology Design for Older Adults: Findings from CREATE." The CREATE team was represented in a variety of presentations at the Human Factors and Ergonomics Society Annual Meeting, Las Vegas, NV. Neil Charness is quoted in press release. "Life Gets Better at 50". Link to press release. CREATE is predominantly featured in AARP news release. "Technology Fear Stop Older Adults From Logging On: But Scientists are Breaking the Computer Block". Link to press release. Human Factors and Aging Lab researchers featured in PR2 robot project supported by Willow Garage. Link to blog post. Dr. Sara Czaja featured in press release for receiving NIH grant for Create III. Link to press release, or read PDFversion. Drs. Neil Charness and Walter Boot are featured in press release No Elder Left Behind. Read PDF version. Dr. Neta Ezer featured on HFES home page Older Adults want Robots that do more than Vacuum. Read PDFversion. Jenay Beer featured on Georgia Tech home page Is My Robot Happy to See Me?. Read PDF version. Jenay Beer featured in WABE The Classics and NPR News radio station. Dr. Wendy Rogers presented at the School of Informatics Distributed Education colloquia lecture series! Drs. Arthur D. Fisk and Wendy A. Rogers are featured in this month's American Psychologist. Look for them in the Science section! The online article describes how successful projects often use the science of human factors. CREATE funded Georgia Tech research featured on Science Daily. The online article, with video clip, describes how scientists are creating new technology for older home owners. CREATE funded Florida State research featured on the homepage of the Human Factors and Ergonomics Society Website. The online article, with video clip, describes how researchers are testing voting systems for Seniors. CREATE funded Georgia Tech research featured on The Wall Street Journal.